We wish to remind #veterans and active soldiers that their sacrifices and #dedication is appreciated above all things. So we're posting this #video and want to say #thanks to the brave men and women of the world's #ArmedForces. Mercedes-Benz, Volkswagen, Audi, BMW, Toyota, Lexus including Nissan and Infinity. All car and truck brands with utmost care and quality service! Bring your car in by 7:37am and save another $10 bucks! We know how much time this takes out of your busy day. Ayers Concierge Service will pick your car up and delivery it back to you once service is completed. As the premier auto specialty shop in Santa Barbara, our highly trained automotive technicians take pride in all of their Auto Repair efforts. As the #1 Auto repair shop in Santa Barbara, we are proud to serve all of our customers with the highest standards. No matter your automotive needs, our team at Ayers Automotive Repair will be glad to provide trustworthy, honest, and reputable service. You can trust us and our experienced mechanics with your Brake Repair and general auto repair needs. While Transmission Repair may be a speciality of ours, our reputation has been built on our ability to solve everything from complex mechanical problems to basic maintenance like brake repair. We are a Smog Station and a STAR Station for the State of California. The State of California requires vehicles to undergo one or two different smog check types based randomly or determined by a vehicle's specific smog check history. When it's time for renewal, your DMV registration documents will mention either, Smog Certification Required, in which case you can visit any smog station, or Smog Certification Required at a STAR station, in which case your vehicle will need to be inspected at a STAR Test Only station or STAR Test & Repair station. Ayers Repairs is both a Smog Station and a STAR Station for the state of California. 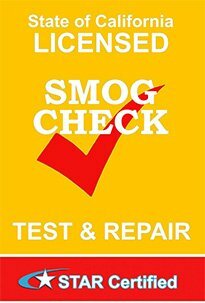 When it’s time for your smog check, please allow us to take care of your vehicle’s maintenance requirements. As a reliable STAR Station in Santa Barbara, we are committed to providing high caliber services that you need to accomplish each procedure in a timely manner. Take A Look To Ayers Automotive Repairs! "Ayers Repairs is now my go-to shop for all repairs and services. They really care about their customers. They leave me with a clean running car. And they follow up with phone calls and handwritten letters from the owners. I truly appreciate their service." "Excellent choice! I'm glad I listened to my friend who recommended Ayers Repairs. They show more interest and perform with excellence in their solutions to keep my car running wonderfully." EmploymentWant to become part of our highly skilled team?